Begun by artists in 1980 with exhibitions always free to the public, OCCCA, the Orange County Center for Contemporary Art, is a 501(c) 3 non-profit, all-volunteer, artist-run gallery located in the heart of the Santa Ana Artists Village. OCCCA is one of the very few all-volunteer, artist-run galleries left in the USA that owns its own building. 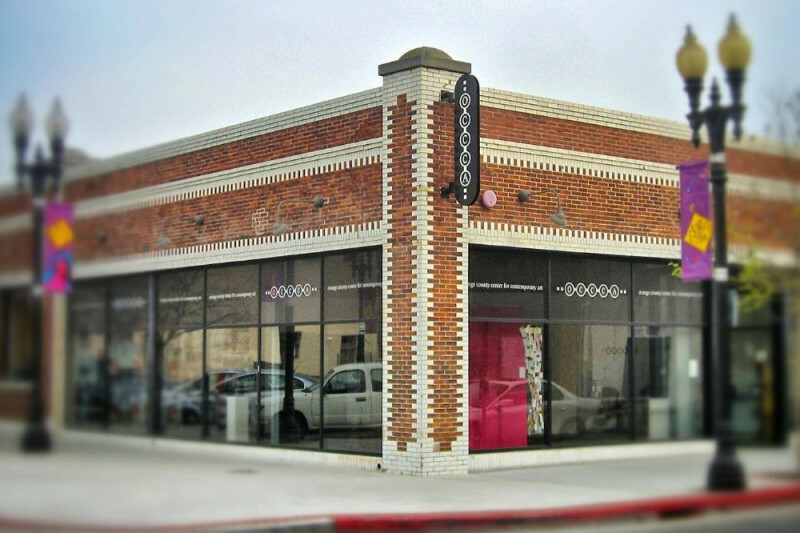 Completed and occupied in 2000 with great help from the City of Santa Ana, the 6,300 square foot OCCCA building was refurbished into a functioning gallery out of a former automobile repair facility. Please visit www.occca.org to learn about OCCCA’s history and almost 40 years of cultural contributions. Since 2000 the standard variety of OCCCA operational costs have steadily increased, regularly stretching OCCCA’s operational budget to the limit, restricting OCCCA’s ability to take advantage of cost-saving upgrades and regular maintenance. OCCCA’s electrical bill is the largest regular monthly expenditure. Replacing OCCCA’s original incandescent track lighting system with a LED track lighting system is the critical first part of a two phase program designed to reduce OCCCA’s electrical operating costs by up to 50% monthly. Once the LED track lighting system is in place, the second part of the two phase program will be to immediately pursue solar panels for OCCCA’s roof. PLEASE DONATE TO HELP OCCCA RAISE $14,000.00 TO CONVERT THE GALLERY TO AN LED TRACK LIGHTING SYSTEM. OCCCA IS A 501(c)3 NON-PROFIT SO YOUR DONATION IS TAX DEDUCTABLE TO THE FULL EXTENT OF THE LAW. OCCCA will be very grateful for your help achieving this very important step toward financial strength.